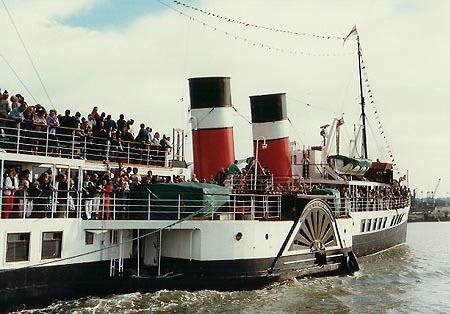 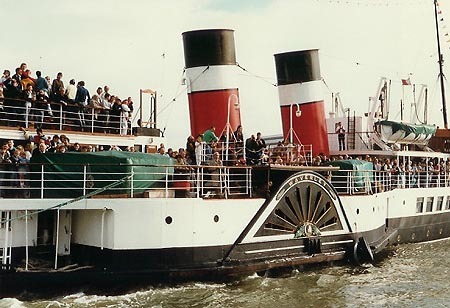 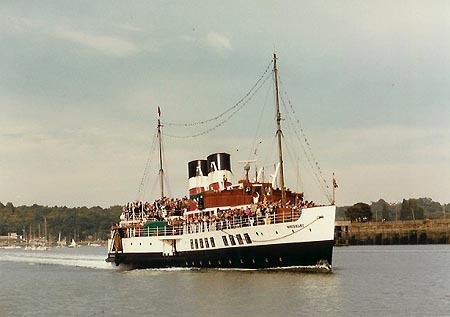 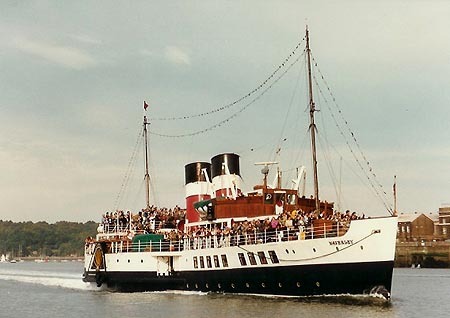 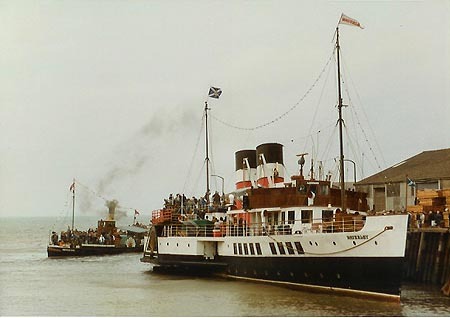 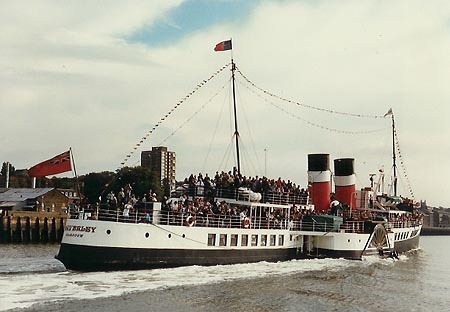 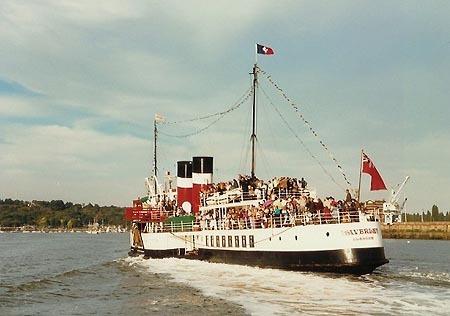 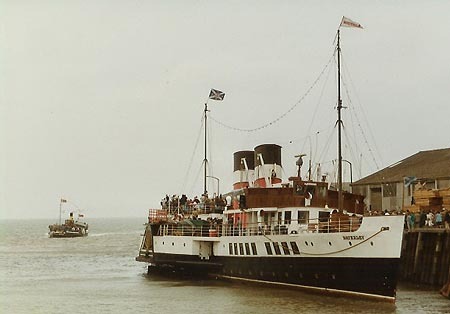 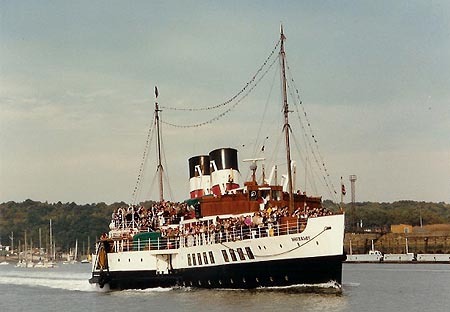 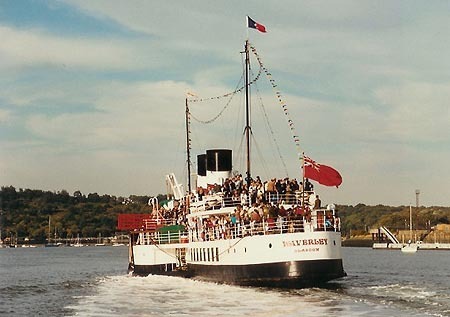 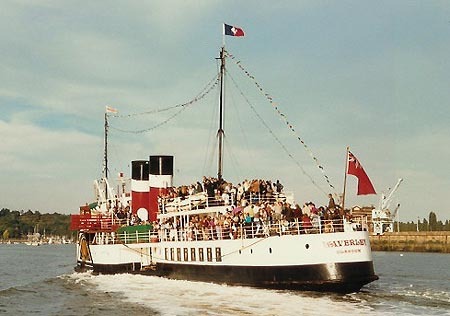 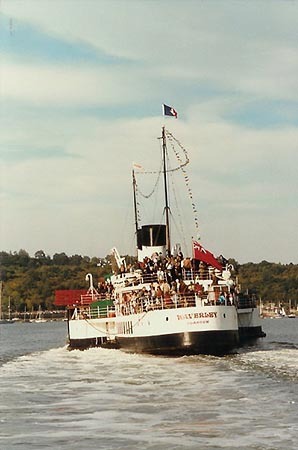 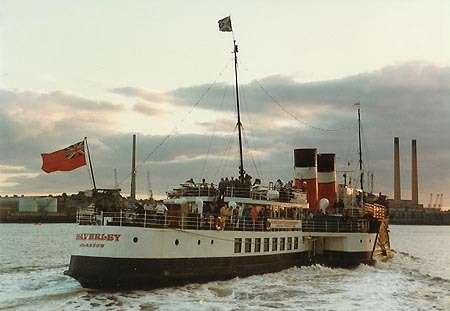 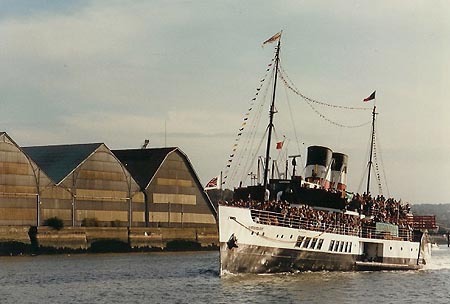 This page is devoted to photographs from the 1980s of the preserved paddle steamer Waverley. 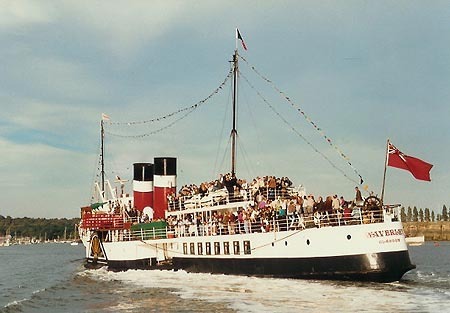 Waverley Photographs - 1980s - this page! 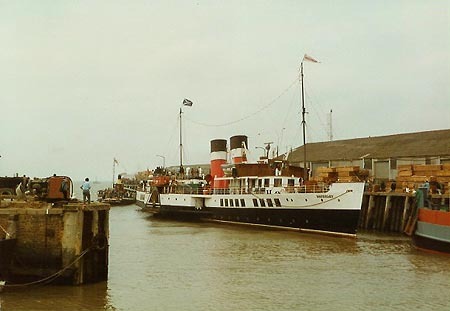 Waverley at Whitstable, with Kingswear Castle arriving. 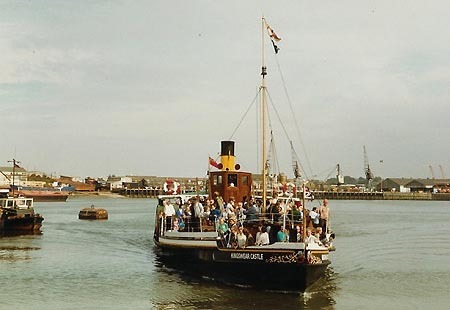 Kingswear Castle arriving at Strood on the River Medway, prior to running a cruise to meet the Waverley. 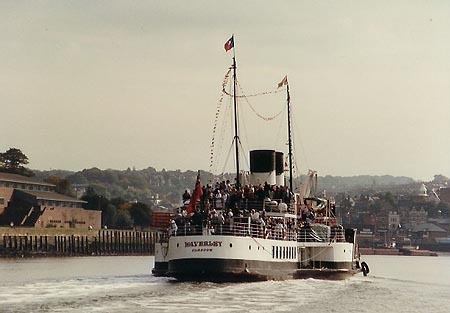 Waverley on the River Medway at Chatham, heading up river. 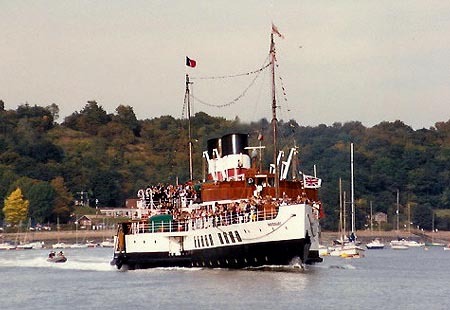 Photographed from the Kingswear Castle. 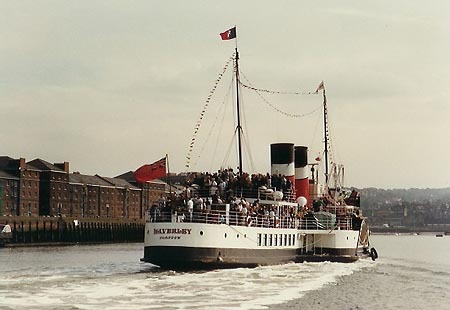 Waverley on the River Medway at Chatham. 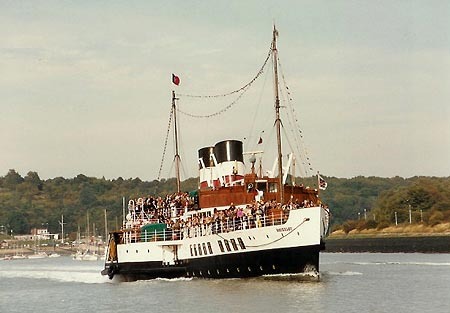 Waverley on the River Medway at Chatham, heading down river to the Thames.